RALEIGH, N.C. – For a second straight game junior Casey Hargett started a game with a hit but then North Carolina Central University was held hitless for the rest of the contest as host North Carolina State University picked up an 8-0 non-conference victory in six innings Thursday night at Curtis & Jacqueline Dail Stadium. Senior starter Emily Weiman and sophomore reliever Courtney Mirabella combined for shutout win. The Wolfpack, who were nationally ranked in both NCAA top-25 polls earlier in the year, moved 10 games over .500 at 29-19. Hargett takes over the Lady Eagles team lead with a .360 average after extending her hit streak to five games. The Greenville, N.C., product has hit safely in 32 of 42 games. NCCU was held to just one hit for the second time in as many days (lost 8-0 in game two at Campbell on Wednesday) in slipping to 16-26 on the campaign. Junior London Booker held a potent Wolfpack lineup without an earned run over the first three innings but NCSU was able to pull away for the run-rule triumph scoring in each of its last three frames. The Wolfpack did get on the board in the second with an unearned tally. Senior Morgan Tharrington led the hosts offensively with a pair of hits and three RBI. Classmate Renada Davis nailed a solo homer in the bottom of the sixth to end game with the Wolfpack’s eighth run. Junior Angelique Perricelli nearly broke up the shutout bid in the third for the Lady Eagles. Perricelli drew a one-out walk. She then attempted to score from first on an infield throwing error but the right fielder was able to track down the ball and gun it in to the catcher for the tag before Perricelli could touch the plate. Weiman (23-14) remained perfect on her season tossing the first four innings before handing the ball over to Mirabella. 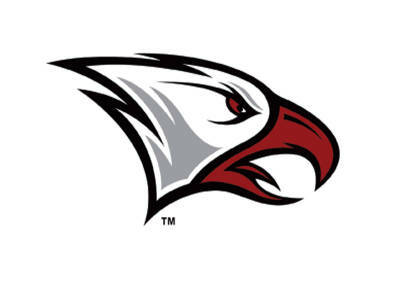 NCCU will have over a week to prepare for its final regular season series when the Lady Eagles host MEAC rival North Carolina A&T University on Saturday-Sunday, May 2-3. The series finale on Sunday will be designated Senior Day for Emerie Germ and Tiphani Jackson. Tags: MEAC. Bookmark the permalink.